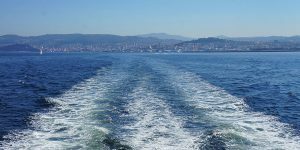 If you are planning to do the Portuguese Coastal Camino you are in for some great treats as you will be either starting or passing through the stunning city of Baiona. 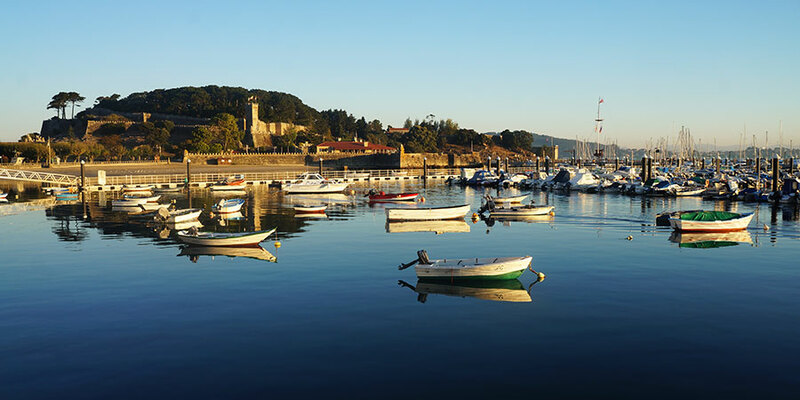 This postcard-perfect village is the ideal beginning to your Camino journey. The narrow cobbled streets invite you to discover some of the most authentic Spanish restaurants, bars and buildings. 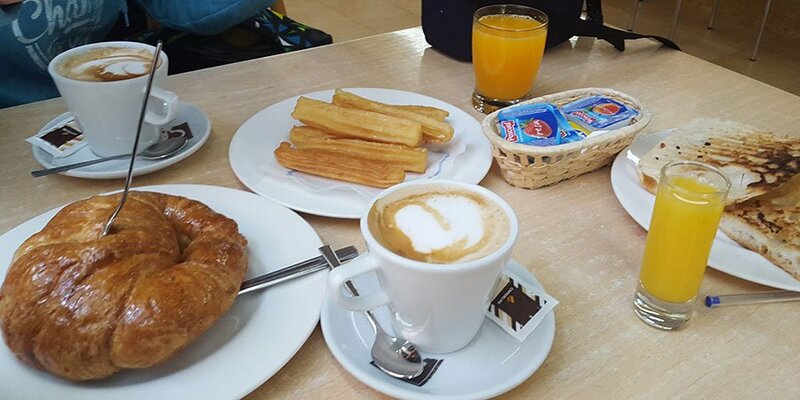 Start your day with a cafe con leche and a hot croissant in one of the seafront cafes. If you want to sample the famous Spanish churros and get your daily hit of sugar head over to Churreria Emilin where you will find delicious pastry and hot chocolate. After breakfast you are only a short walk away from El Paseo de Monte Boi (a walk around the iconic fortress of Monte Real). 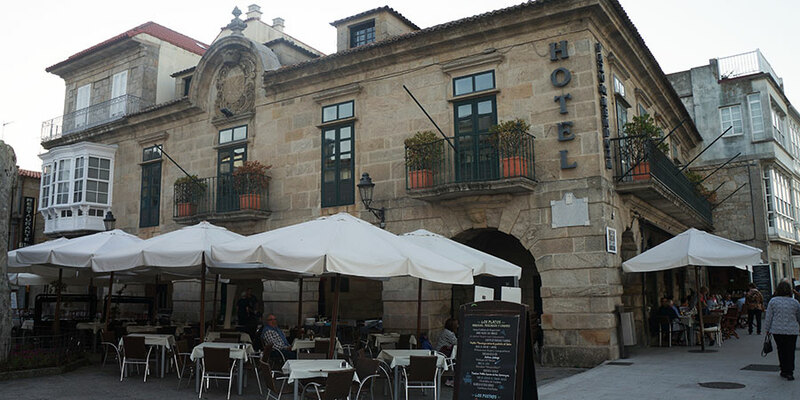 Knowing that you are going to be spending another week hiking through the Northern Spanish countryside you will be tempted to just sit in on the first evening in Baiona but believe me you will want to make the most of your time in this beautiful town. 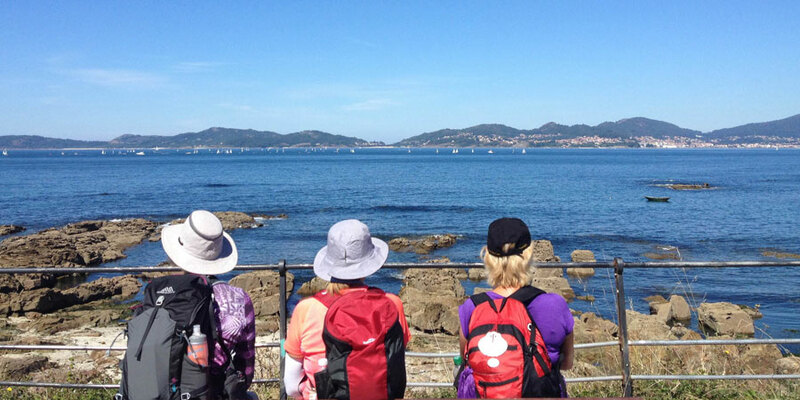 This short stroll offers up the best views in Baiona. Spend a little time perched on one of the medieval walls, dating from the eleventh century, looking out to the crushing Atlantic waves. You will immediately feel as peaceful as your surroundings. The whole looped walk is approximately 2km and you will find nice beaches and public chilling spaces all around the fortress. This leads on nicely to the next activity of the day; taking a dip in Atlantic Ocean. Once you reach the front of the castle there is a lovely quiet beach nestled between the busy town and the castle walls. This is a great place for a swim. Many of the shops and restaurant close for a small period of time during the day and this is the perfect excuse to pick a nice picnic spot by the harbour. 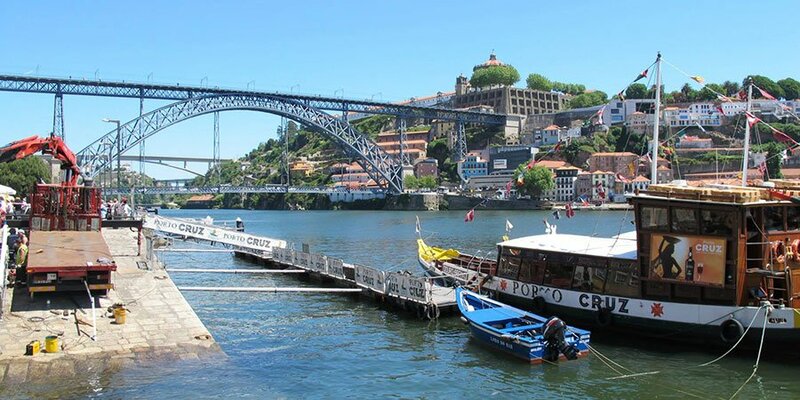 Buy a casa de Jamon in a local cafe and admire the boats as they sway gently in the dock. If you feel like a treat then there is a wonderful ice cream parlour called Smooy directly opposite the harbour. Try a twister with a mixture of fruit, ice-cream and mini-sweets all in one cup. Delicious! Once you have devoured your ice-cream you are ready to explore the quaint city streets. The impressive old town just opposite the main harbour has well preserved small buildings, charming restaurants and Galician style terraced houses. 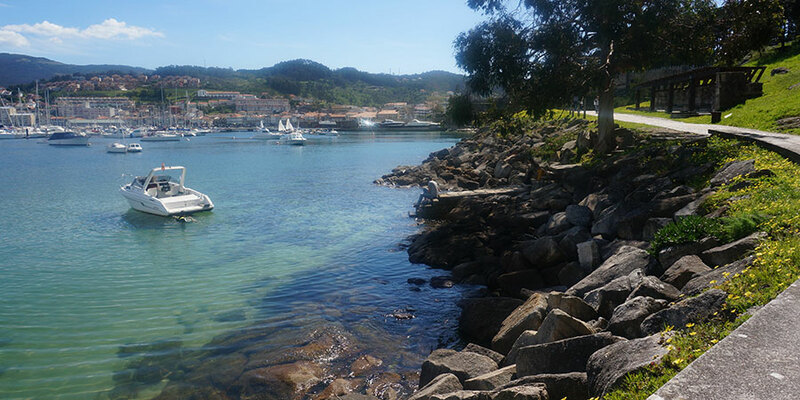 A short walk will take you along the main harbour to the Baiona Estrella bar. On Sundays, they play live music outside and it is bustling with locals sipping beers and enjoying some pinchos. Take a seat and enjoy the relaxed Galician lifestyle. In the evenings the streets are bustling with activity as everyone enjoys a late meal after a day in the sun. Try out some traditional tapas in O Refuxo d’Anton. When you see the large dishes of Calamares, homemade croquetas and the famous pulpo on the menu you know that you have stumbled on a real gem. The prices are cheap and the wine is fantastic. What better way to finish off your day in Baiona then watching a beautiful sunset on the seafront. 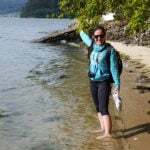 Wander down to the harbour to take a few photos of the inspiring coastal views. 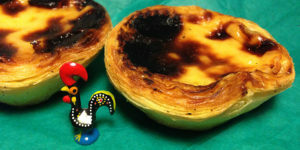 For more information about the Portuguese Coastal Camino contact one of our travel specialists.